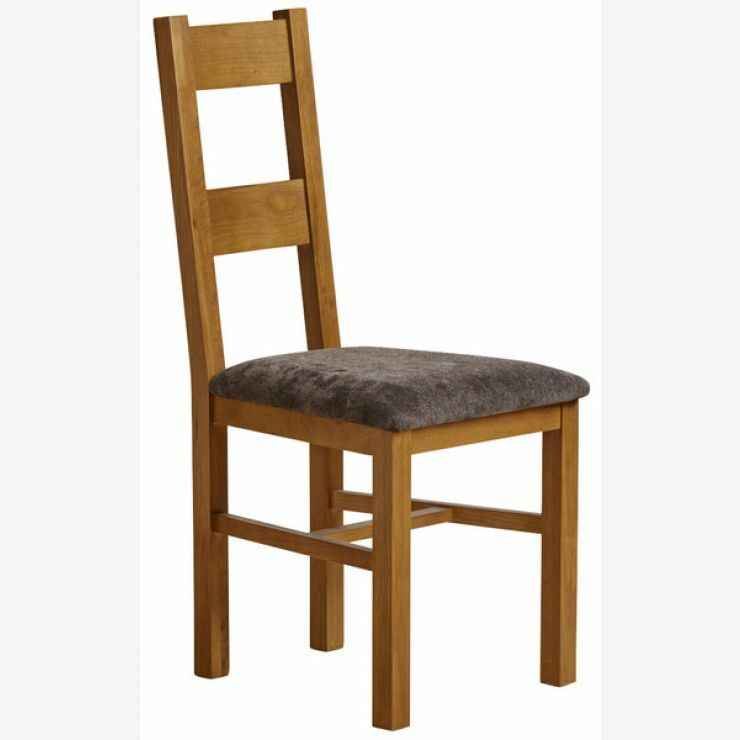 Combining comfort with durability and strength, the Farmhouse Rustic Solid Oak Dining Chair is perfect for traditional and modern dining rooms alike. Only the finest oak timbers are used and each one is solidly put together to ensure exceptional longevity. 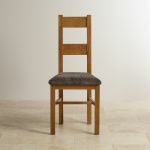 The generously padded seat is upholstered in plain charcoal fabric upholstery which complements the dark rustic hue of the subtly waxed oak. This wax finish ensures that the oak is protected from daily wear and tear as well as accentuating the exquisite grain patterns. For perfectly co-ordinating furnishings, take a look at the other pieces in the popular Rustic Solid Oak Collection. Delivery is free and each item will be carried to your room of choice. 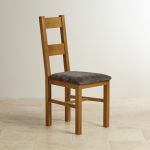 Available only in pairs and can also be purchased as part of a dining set by selecting the "Customise" button above.